We recently wrote about the EU’s new General Data Protection Regulation (“GDPR”) and how it might affect your business operations. You may recall that the main focus of the GDPR is the protection of personal data and digital privacy. If you offer products and services to EU citizens or collect, use, or share personal information belonging to EU citizens then you will want to make sure that your online presence is compliant with GDPR rules. 8) the right of automated decision-making in profiling. You should tell users who you are (contact information), when you request data, why you process their data, how long their data will be stored, and who receives it. Users should be given access to their personal data and be permitted, upon request, to move it to another location, for example, another company’s website. Should your web site or servers suffer a data breach, you must inform users of the occurrence and the seriousness of risk to them. 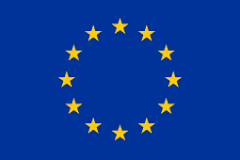 Profiling is defined under the GDPR as “any form of automated processing of personal data consisting of the use of personal data to evaluate certain personal aspects relating to a natural person, in particular to analyse or predict aspects concerning that natural person’s performance at work, economic situation, health, personal preferences, interests, reliability, behaviour, location or movements”. Some companies process applications for legally-binding agreements by way of “profiling”. If your company does this, you must inform customers, ensure that a person, not a machine, checks the process if the application ends in a refusal, and offer the customer the right to appeal a refusal decision. “Extra” safeguards should be implemented to protect information about users’ health, race, sexual orientation religion and political beliefs.